My Latest Acquisition! 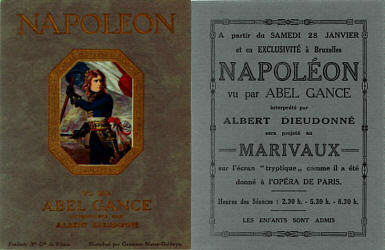 Publicity card for screenings of a shortened Napoleon at the Marivaux in Brussels on January 28, 1928. 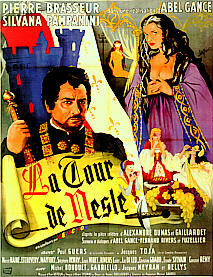 Note the times of the showings, compared even to the 4 hour U.S. Coppola version. This is one of four original cards known to survive. Wladimir Roudendo as Napoleon in the famous snowball fight at Brienne. 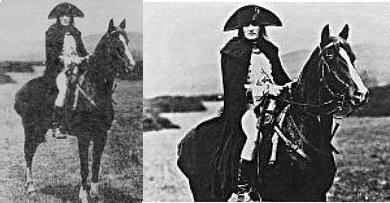 Albert Dieudonne as Napoleon in the spectacular 3 screen Polyvision finale of Napoleon. Polyvision predated Cinerma by 25 or so years. Another example of Polyvision in Napoleon. Albert Dieudonne in a still (even archive photo sources vary in quality!) while shooting the chase in Corsica. Gance used a horse-mounted camera driven by compressed air. The camerman was dressed in costume in case he was photographed. 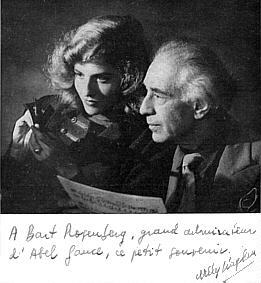 Nelly Kaplan, Gance's assistant in the 50's, and Gance. They are apparently examining footage from Gance's Magirama, his later name for Polyvision. In 1997, Boston Light and Sound provided the three special interlocked projectors for the triptych at Francis Ford Coppola's $1000 per plate dinner and showing of Napoleon. 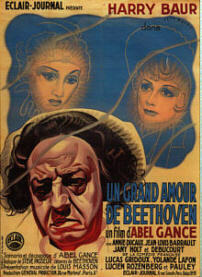 Arthur Honegger wrote most of the music for Napoleon and several other Gance films (in French). Race Mathews on Napoleon from Australia. Allegedly Dead Media, Ian Campbell's site features working notes describing Gance's use of Polyvision. 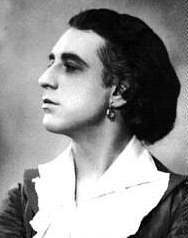 Taylorogy, with an interview of Gance by Louella Parsons, August 14, 1921(scroll down once you get there). Louise Brooks Society, another Silent Giant. Rudolph Valentino's Home on the Web. 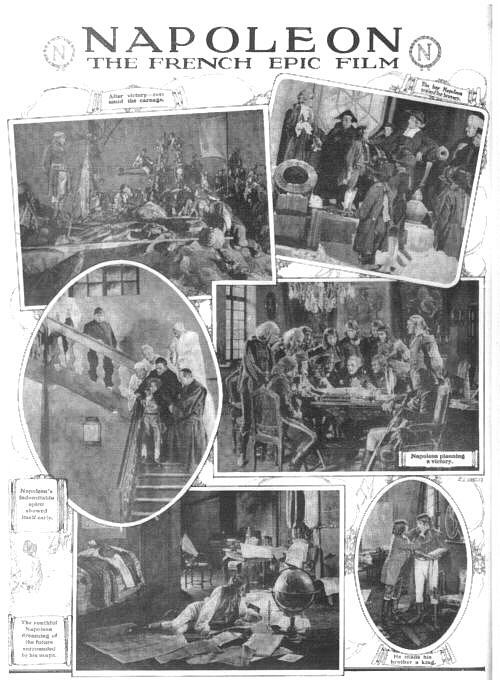 Click here for a advertisement about the film "Napoleon" from "Chums", a monthly boy's magazine, published in Australia in 1929! Artwork courtesy of Race Mathews, Monash University. Email me for or with more information.